Omaha Steel | Engineering Excellence. Casting Trust. Get a glimpse into the everyday workings at Omaha Steel. See what drives us. Learn our values. See our commitment to your success. Omaha Steel represents a new era in the American steel industry, providing advanced engineering expertise to companies requiring high quality, reliability, and the efficiency of a Tier One partner. We bring over 100 years of steel casting experience using today’s top technology processes. Omaha Steel offers the complete casting solution to meet your competitive needs in cost, design, alloy, and application requirements. Your complete Tier One solution provider is right here. Omaha Steel takes your vision and business needs to new levels of success. We live up to your challenge. Omaha Steel has assembled a team of experienced engineers across multiple engineering disciplines. Our team comes prepared for every scenario bringing real-world experience. Our engineers provide unmatched expertise in every facet of the casting process. Our engineers emphasize collaboration with your engineering team. Working hand in hand, we’re able to fully understand your needs and design your castings to encompass everything you expect – and then some. In the steel industry, trust takes center stage. Your trust is hard won. That’s why we’re prepared to earn your trust with every job. Your project deserves the utmost of our skills and expertise each and every day. 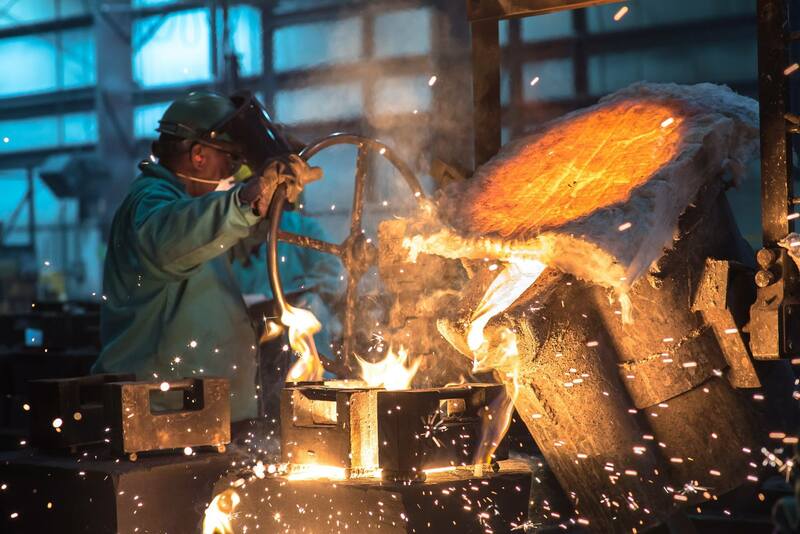 At Omaha Steel, from the CEO to the foundry floor, every employee will earn and value the trust you put in us. Take a few minutes and look around. Investigate. Get to know our capabilities. See our team’s commitment to you and your business. You’ll want to learn more. that demand optimal performance and reliability. Omaha Steel thrives on innovation and doing things better. We encourage and facilitate employees of Omaha Steel – at every level – to share their ideas toward that end. Our industry undergoes constant change and commitment to innovation, and constant improvement provides the key to success. When we take on a job, collaboration with clients is a must, because fully understanding your needs is a must. Our Ascend E² program puts your team with ours, ensuring your needs are understood completely. We reach a solution that addresses each of your concerns regarding your casting needs. Your team’s expertise becomes just as valuable as ours. True collaboration results in exceeding expectations. The team at Omaha Steel does prescribe to “good enough.” Instead, the Omaha Steel team desires to be the best. We do that by continual investment in top people and machinery, by improving processes and giving employees the tools to succeed, and by making sure we exceed our customers’ expectations. Our drive toward exceeding expectations happens through every stage, every process, and every employee. Get a glimpse into the everyday workings at Omaha Steel. See what drives us. Learn our values. See our commitment to your success. If you want to see Omaha Steel up close and in person, please request a visit. Seeing in person how we implement our processes, and how they contribute to quality castings, can go a long way towards making the right decision. Schedule a tour with Omaha Steel, and we’ll give you an in-depth look at our commitment to quality. Our mission is to design and produce innovative casting solutions for industries that demand optimal performance and reliability. 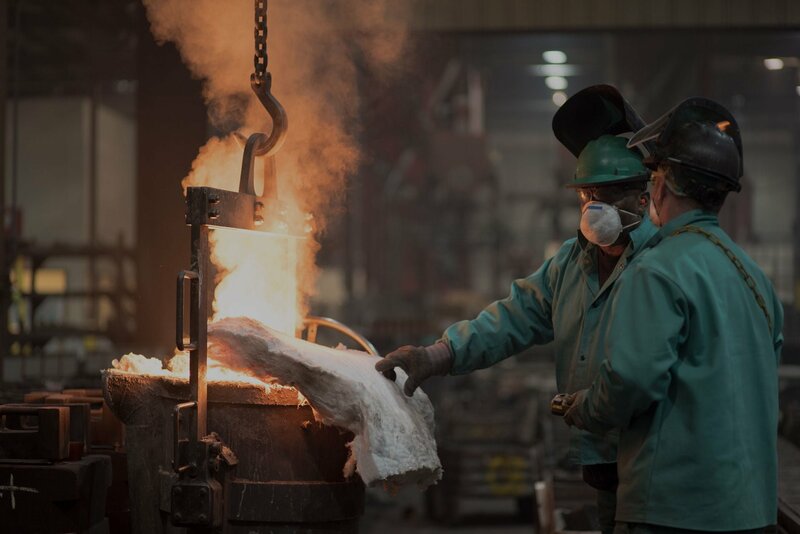 Omaha Steel’s team of multi-specialty team of engineers have wide-ranging experience and top-level expertise through every facet of the casting process.